An expendable pattern usually made of wax is produced by an injection press, forcing hot pasty wax at high pressure into a metallic mould, called die. Several such patterns are assembled by sticking them on to wax bars called runners or sprues. A cluster is formed and this is called “wax assembly”. The Wax Assembly is dipped into refractory slurry. After dipping, it is coated with refractory grains called “Stucco”. This process of dipping and coating is repeated several times depending on the size and configuration of the component, this creates several layers until the required thickness is achieved. 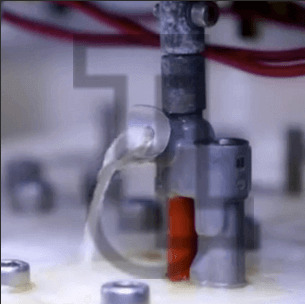 The process of surrounding the wax assembly with refractory materials is called “investing” in old English, which gives the process the name of “Investment Casting” process. A casting made through this process is called an “Investment Casting”. After the assembly is “invested” (covered with refractory layers), it is kept for drying. 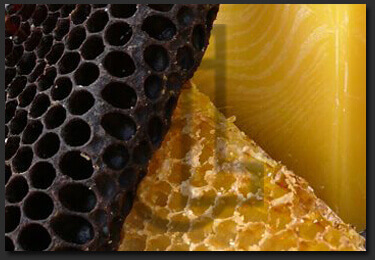 Once dried, the wax inside the assembly is removed by melting it inside a steam autoclave. The removal of the wax was named in the past as “lost” by burning off; therefore this process of casting is also called the “Lost Wax Process”. 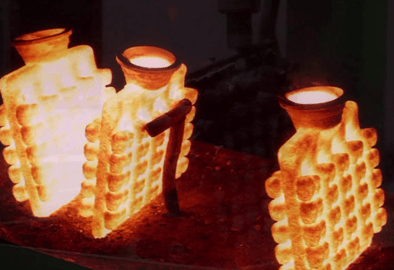 After removal of the wax, the resulting hollow “mould shells” are pre-heated in a shell pre-heating furnace to make them strong enough to withstand the metal pressure when the liquid metal is poured into the shell. After pre-heating the mould shells, molten metal produced in an induction melting furnace is poured into them. Once the metal has been poured and cooled, the mould shells are put in a vibrating machine so the fragility of the ceramic makes it break and reveal the metal assembly. 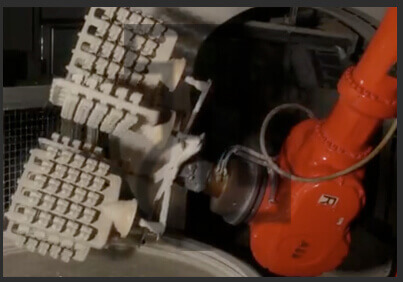 Individual castings are cut-off from the cluster using an electric arc, a gas flame or an abrasive disc. Castings are then heat treated to achieve the required mechanical properties. This process involves cutting or grinding off unwanted portions, followed by thorough cleaning and finishing through various processes, in order to give the required surface finish and dimensional accuracy. In many cases, the castings are subjected to additional operations such as machining, surface hardening, electroplating, electro polishing and several other processes as per customer requirement. In this stage, the castings go through the final inspection and testing to ensure all the customer requirements are fulfilled. After the parts are finally inspected, they are carefully packaged and shipped. Investment Casting (The Lost Wax Process) has been practised for thousand of years, with lost wax process being one of the oldest known metal forming techniques. From 5000 years ago, when bees wax formed the pattern, to today’s high technology waxes, refractory materials and specialist alloys, the castings ensure high quality components are produced with the key benefits of accuracy, repeatability, versatility and integrity. Investment Casting is one of the earliest forms of casting, dating back in use over 4000 years when production of idols, ornaments and jewellery using natural beeswax for patterns, clay for the moulds and manually operated bellows for stoking furnaces was carried out. 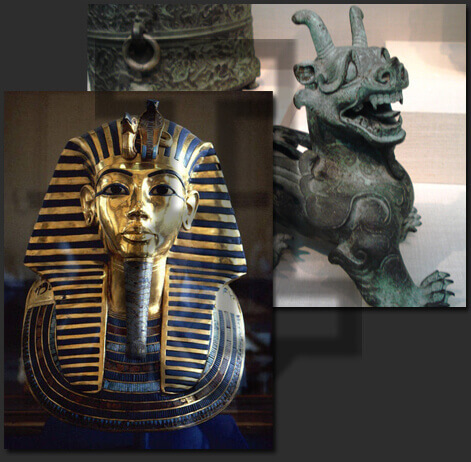 Examples of investment cast production have been found in Egypt from the tombs of Tut-Ankh-Amun (1333 BC – 1324 BC), in China from Han Dynasty tombs (209 BC – 9 AD) with some of the earliest investment casting known to have taken place during the Shang Dynasty (1766 BC – 1122 BC), other examples of early investment cast articles have also been found in Mesopotamia, Mexico, and the Benin civilization in Africa where the process was used to produce intricately detailed artwork of copper, bronze and gold. Investment casting really started to become a modern industrial process in the 1940′s as the onset of World War II increased the demand for precision net shape manufacturing processes and the use of specialized alloys that could not be shaped by traditional methods. Investment casting could produce these near net shape components more quickly and accurately than traditional machining methods that were becoming overwhelmed by the demand.Investment Casting Process was found practical for many wartime needs and during the postwar period it expanded into many commercial and industrial applications where complex metal parts were needed. the company is able to produce castings with very close tolerance and surface finish to international standards. The achievable tolerances for parts produced through investment casting are established in an international norm: VDG P690. TCL produces castings according to this norm. As cast tolerance of angels depends on their location in the casting. They range from ±0.5° for well supported positions to ±2° where inherent distortion could be expected. 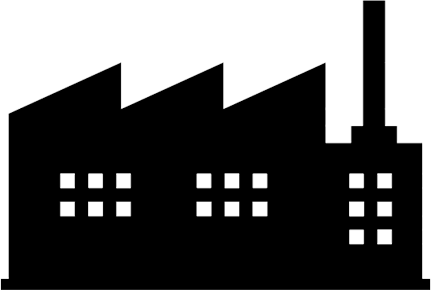 Inclusion of gussets and ribs often minimizes distortion and many sections can be mechanically straightened. Blind hole can be cast if length does not exceed the diameter. Average Ra value generally ranges between 4.5 – 6.3 Ra. From concept to finished drawing, TCL’s engineers are ready to assist customers at all stages of casting design. They can provide suggestions and guidance regarding tolerances and design details, alloy selection and even approximate pricing. Their aim is to help customers select the best manufacturing process, whether or not it is investment casting. It is essential to ensure that all the details required to make an accurate feasibility study and cost estimation are specified. TCL pours over 150 different alloys according to internationally accepted standards such as ASTM, DIN, JIS, IS and BS. Our broad selection of alloys allow us to cater several industry sectors and meet their performance requirements. Our approach to research and development is focused toward continuous improvement. Continuous process improvement is an objective to be achieved at all levels in the company, this is ensured through process study and evaluation in order to optimise parameters and encompass all the processes. The company attaches great importance to new product development in new industry segments, we understand the value of expanding our capabilities with new material specifications, weights and complexity. As part of our efforts to join Industry 4.0, we have developed a system to measure and control the temperature and humidity of our shelling rooms, keep tracking of coolant temperature in our machines, keep track of the fuel level in our tanks, measure the temperature and time in our Heat Treatment furnaces, keep track of our energy consumption and water level. This has enabled us to improve our process stability and optimize our resources.